Verses 1-13: We must look upon our teachers as our fathers: though instruction carry in it reproof and correction, bid it welcome. Solomon's parents loved him, therefore taught him. Wise and godly men, in every age of the world, and rank in society, agree that true wisdom consists in obedience, and is united to happiness. Get wisdom, take pains for it. Get the rule over thy corruptions; take more pains to get this than the wealth of this world. An interest in Christ's salvation is necessary. This wisdom is the one thing needful. A soul without true wisdom and grace is a dead soul. How poor, contemptible, and wretched are those, who, with all their wealth and power, die without getting understanding, without Christ, without hope, and without God! Let us give heed to the sayings of Him who has the words of eternal life. Thus our path will be plain before us: by taking, and keeping fast hold of instruction, we shall avoid being straitened or stumbling. Verses 14-27: The way of evil men may seem pleasant, and the nearest way to compass some end; but it is an evil way, and will end ill; if thou love thy God and thy soul, avoid it. It is not said, Keep at a due distance, but at a great distance; never think you can get far enough from it. The way of the righteous is light; Christ is their Way, and he is the Light. The saints will not be perfect till they reach heaven, but there they shall shine as the sun in his strength. The way of sin is as darkness. The way of the wicked is dark, therefore dangerous; they fall into sin, but know not how to avoid it. They fall into trouble, but never seek to know wherefore God contends with them, nor what will be in the end of it. This is the way we are bid to shun. Attentive hearing the word of God, is a good sign of a work of grace begun in the heart, and a good means of carrying it on. There is in the word of God a proper remedy for all diseases of the soul. Keep thy heart with all diligence. We must set a strict guard upon our souls; keep our hearts from doing hurt, and getting hurt. A good reason is given; because out of it are the issues of life. Above all, we should seek from the Lord Jesus that living water, the sanctifying Spirit, issuing forth unto everlasting life. Thus we shall be enabled to put away a froward mouth and perverse lips; our eyes will be turned from beholding vanity, looking straight forward, and walking by the rule of God's word, treading in the steps of our Lord and Master. Lord, forgive the past, and enable us to follow thee more closely for the time to come. Each day we walk through the Bible chapter by chapter making an application of our text to help us grow in the Lord. Many applications can be made from each day's text. 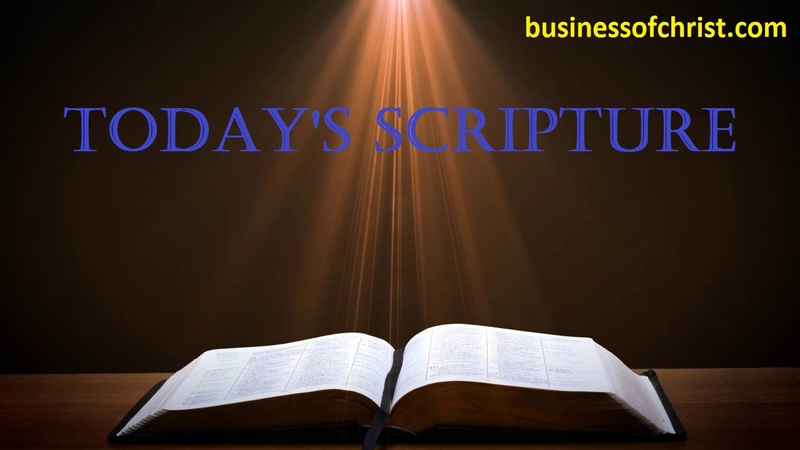 Today we continue with the Book of Proverbs with Chapter 4.